Alan Moore wanted to assure the world he was not the mystery clown stalking the streets of Northampton, so that everyone would know he is not completely nuts. The occultist-political extremist graphic novelist is a lifelong Northampton resident, so it was hardly surprising when people started to speculate. James “Jimmy” Mitchum will not be leaving Northampton (or Nighthampton, as he will soon know it) anytime soon yet either. That is because the old cad is dead, but he does not realize it yet. Unfortunately, there are even worse revelations in store for Mitchum in Show Pieces (trailer here), a feature-length collection of interconnected short films scripted by Moore and directed by Mitch Jenkins, which releases today on a deluxe DVD set in the UK. So, what the heck is this, again? Show Pieces the feature film collected three sequential shorts, featuring the same cast of characters. It had some decent fest play, as one would expect, given Moore’ cult following (and cult really is the right word). This would be the version we have seen. The DVD release is augmented with two additional short films that plug gaps in the narrative. Show Pieces the feature and DVD both start with Act of Faith, easily the most problematic of the original three. This will be Faith Harrington’s last night on Earth, but the fate Moore has in store for her feels viciously misogynistic. He seems to invite us to conclude she had it coming. Nevertheless, it is all quite well played by Siobhan Hewlitt. 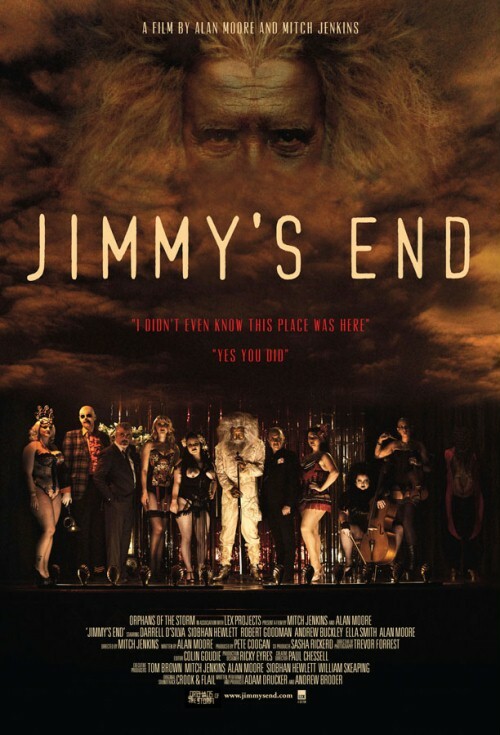 Although Show Pieces is all about the impossibility of redemption, it somewhat redeems itself with Jimmy’s End. Experiencing some sort of amnesia, Mitchum walks into a strange bar called St. James End. That is nothing new for him, but he won’t be walking out of this one. Slow on the uptake, he has yet to figure out this establishment is a sort of purgatory, or worse. However, he readily agrees to help Harrington, who has become somewhat accustomed to the place, as well as the creepy attentions of the co-manager. In the concluding His Heavy Heart, we learn that sort of chivalry is out of character for Mitchum. It turns out it is time for his reckoning—and it will not be pretty. Desperate to avoid his grisly comeuppance, Mitchum tries to cut a deal, but he will soon learn what sort of Faustian bargains are available to those who have already forfeited their souls. Show Pieces is an uneven but intriguing urban fantasy netherworld, sort of like a Twin Peaks film nearly entirely set within the Black Lodge. Of the two additional shorts, Upon Reflection, chronicling Harrington’s immediate arrival at the eerie club, sounds like it would smooth out some of the narrative rough patches that are rather conspicuous in the festival cut. On the other hand, A Professional Relationship, focusing on the testy partnership of the club’s managers looks a bit tangential on paper, but it could certainly be entertaining. With its creepy clowns and gory rituals, Show Pieces is not for the faint of heart. 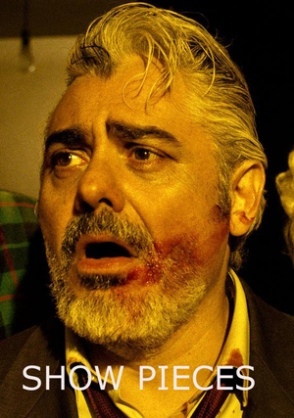 However, it is a terrific showcase for Darrell D’Silva, one of the most egregiously unsung actors working steadily today. Jenkins and the cinematographers for the St. James End sequences, Trevor Forrest and Andrei Austin, make everything glow in a nocturnal neon noir kind of way. Some parts are definitely distasteful, but it still leaves viewers intrigued enough to speculate where Moore and Jenkins might take the story next. Whether it is worth ordering as an import is a question on;y Moore fanatics can only answer for themselves. Casual viewers should wait for a reasonably price domestic edition to be released, or just not worry about it. For diehards, the Show Pieces boxed set is now on-sale in the UK.